2 What are the side effects? 3 How can you treat the side effects that may occur from CPAP machines? When someone is diagnosed with sleep apnea or other sleep disorders they feel like they are losing some of their freedom, something they deserve to have which is enough sleep for them. Sleep apnea takes millions of hours of sleep from many, many people all around the world. 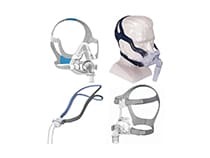 When a sleep apnea patient is diagnosed with the disorder their doctor will prescribe them with some sort of treatment to help them get the sleep they need, generally this treatment is a CPAP machine. 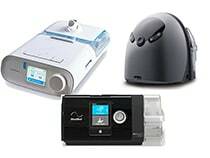 There are other types of machines prescribed as well but usually these are not prescribed unless a CPAP machine will not work. 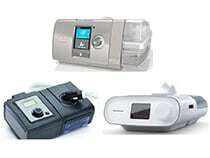 Once prescribed with a sleep apnea machine, the patient feels like they will finally get the sleep they have been hoping for and these machines do work. They do allow patients to sleep much more comfortably. However, just as with all other treatments for many different disorders and diseases, there are CPAP machine side effects. How can you treat the side effects that may occur from CPAP machines? Sometimes people do experience side effects from CPAP machines but if you are one of these people you can treat the side effects. Follow these tips to treat your side effects. Get a heated humidifier for your?room or for the machine to help treat this?side effect. A heated?humidifier?can help treat this?side effect too. A nose lubricant is another option. Heated humidifiers?can help to open your passageways. ?More narrow passageways can?cause a headache, these can fix that. Lower the pressure on the machine if possible. 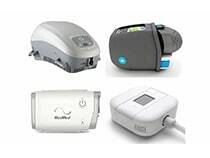 You may also find the articles: best CPAP machine, best CPAP mask, and BiPAP vs CPAP helpful as well. These are?just a couple of options. 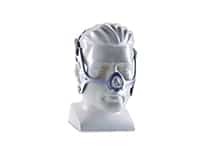 There is always a?way to fix the CPAP machine side effect that you may be?having. Follow the above tips as a great start of achieving the best sleep apnea treatment possible! 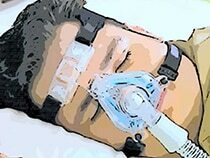 Another great resource for side effects of CPAP machines?is the National Sleep Foundation. Two days often starting my CPAP treatment I began to have nazel congestion and tightening my chest. I don’t have chest pain and I am very sure I don,t have heart issues. Is this a common side affect of the treatment? My cpap machine has helped me with shortness of breath and exhaustion. It is all about finding the right adjustment with the air pressure, humidity, and the masks. Since the morning after I tried a new Phillips Respironics DreamStation I have had an uncontrolling cough. That is 32 days. My provider and I thought about everything we could think of to find out why. NOTHING. Mighty there be a manufacture defect that would cause this? Please help. Are you using a humidifier of some sort? That would be my first thought as the dry air being forced into your airways and nasal passages are irritating the soft tissues causing you to develop a cough.